Food Blog -- Southern Georgia Style! Serve over one cup wild or brown rice. 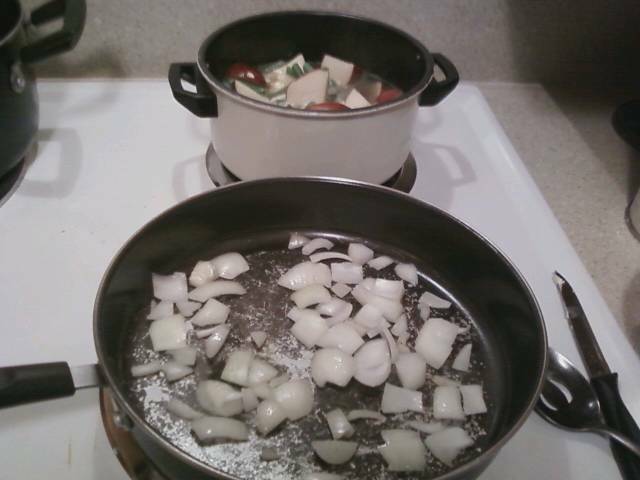 Dice potatoes and onions. Slice chicken into strips and snap green beans. Pour broth into crockpot and add minced garlic and black pepper. Stir well. 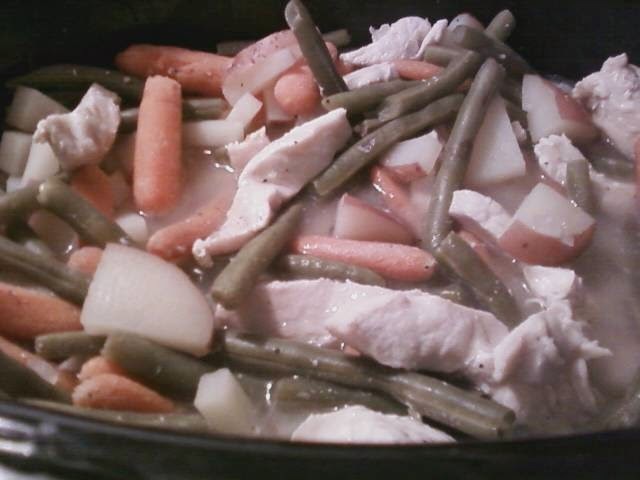 Add Carrots, Green Beans, onion, potatoes. Stir well. Cook for two hours on High, then add chicken strips. Cook on high for 2 more hours. Makes 4-6 servings. Serving Size: Makes 4-6 servings. Calculated for 4 servings. 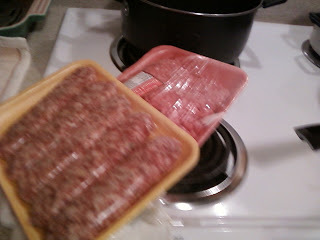 Saute diced onion and garlic in large saucepan, when onions become translucent, add ground turkey and Italian sausage. Brown and thoroughly drain the turkey / sausage. Pour sauce over meat mixture and simmer on low. Prepare Penne Pasta according to direction and drain. Add to meat mixture and combine thoroughly. 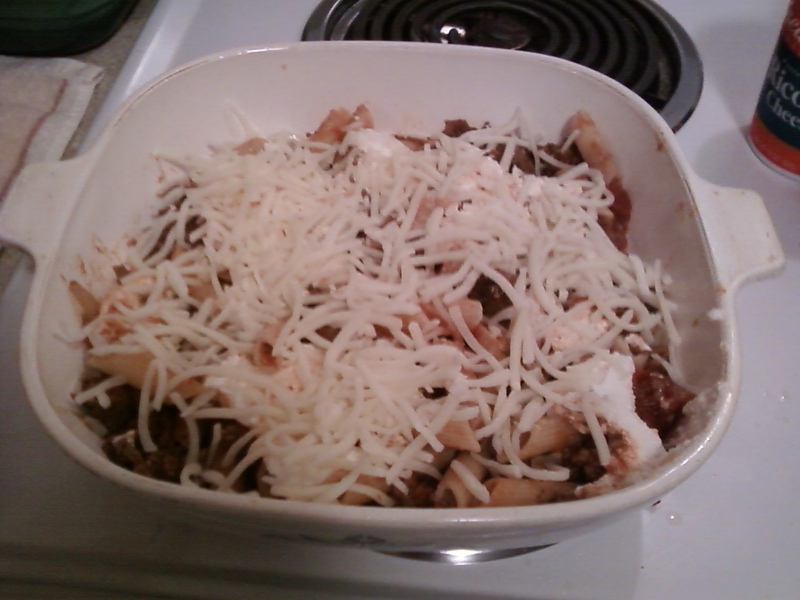 While pasta is cooking, mix the shredded cheeses together. 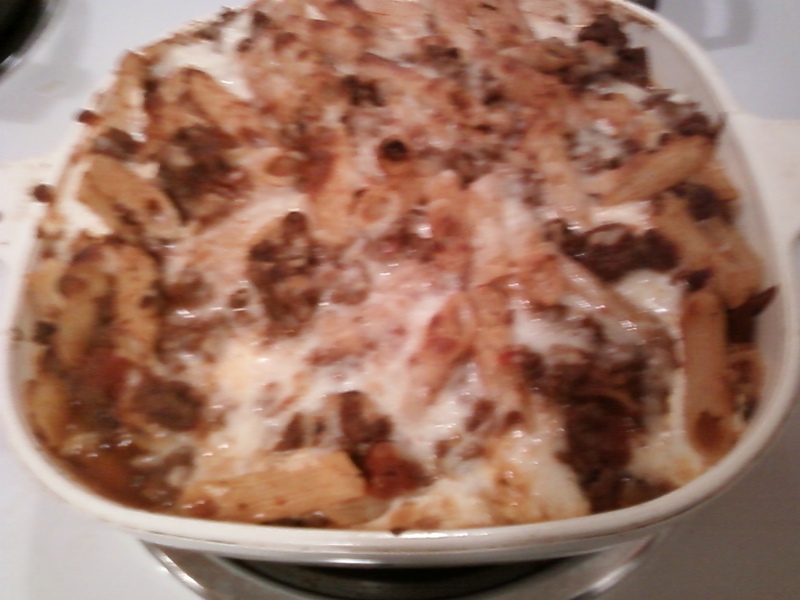 In 9X9 casserole dish, spread a layer of the meat mixture to cover the bottom, then spread on a layer of the ricotta, and sprinkle some of the shredded cheese. Repeat until the cheese is on the top layer. Place in a 350 Degree Fahrenheit oven for approx. 45 minutes. Cheese will be nicely brown and bubbly. Serve with hot bread and enjoy! ***If you have cheese left over, spread it on the bread and place in the over to make a superb cheesy bread! Place drained peaches in a bowl and add sugar, cinnamon, and nutmeg. 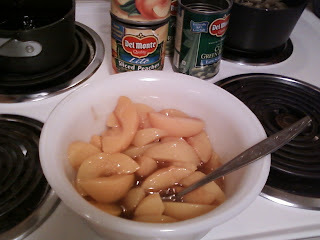 Stir until all peaches get a coating of the mixture. Place in a deep-dish pie pan. Put pinches of butter throughout the peach mixture. 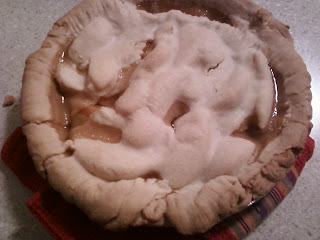 Top with second pie crust pastry. Bake in a 375 degree (Fahrenheit) oven for approx 45 minutes until top crust in nicely browned. After removing from oven, allow to cool for about 20 minutes. Serve with whipped topping or ice cream! Is anything really better for a chilly Fall day than Bar-B-Que? Nope! But since time and space are limited for me right now, I'm making mine in the crock pot. I thought I'd share a quick and easy recipe with you. In a small bowl mix the spices together. Rub into Pork Loin. In Crockpot, pour the broth and add garlic. Stir. Add the pork loin and cover. Cook on HIGH for three hours, then shred / pull apart the loin, pour Bar-B-Que sauce over it and stir. Reduce heat to LOW for another two to three hours. Serve on buns or over yellow rice! This is my family's go-to dip for game days and holidays! Whether we're rooting for the Bulldogs, the Yellow Jackets, the Eagles, the Falcons, or the Braves -- this Georgia Family is always ready with the best dip! *1 jalapeno, seeded, and diced fine. OPTIONAL! Empty all 3 cans of chili into bowl with jar of Salsa. Stir together well. Spread chili and salsa mixture into a 9 X 9 casserole dish. Spread shredded cheese over top of the mixture, then fold in evenly with a spatula. Sprinkle cubed Philadelphia Cream Cheese pieces evenly over the mixture. Press down so that only the top of the cube is visible. *If you like your dips H*O*T, add the seeded, diced Jalapeno! Bake at 350 for approx. 35 minutes until mixture is hot and bubbly. Give a couple of thorough stirs and serve hot with chips, tortillas. Or use as a topping for burgers, dogs, tacos, etc! I'll have another slice, please! The name Pumpkinberry Pie came from my daughter. When she was about four years old, we sat down to Thanksgiving dinner at my Nanie Thomas' house. Morgan, excited and delighted at all of the fabulours desserts, begged for a piece of Nanie's Pumpkinberry Pie! We've called it that ever since!